How to Protect Inherited IRAs After the Clark Decision | The Levin Law Firm - Philip Levin, Esq. This ruling is important to you and your family because it means you need to take action to ensure your retirement funds are protected when they pass to the next generation – and, perhaps, even to your spouse. Some nine years later, Heidi and her husband, Brandon, filed bankruptcy and sought to protect the Inherited IRA from their creditors. The couple argued that the inherited IRA assets were protected retirement funds. Both the bankruptcy trustee and the judgment creditors objected. The case went all the way to the United States Supreme Court, which ruled that funds held within an inherited IRA are not “retirement funds.” And, as a result, those funds have no protection as retirement funds and can be seized to pay off debts to creditors. The beneficiary of an inherited IRA cannot make additional contributions to the account, while an IRA owner can make contributions. 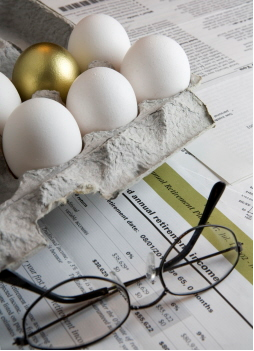 The beneficiary of an inherited IRA must take required minimum distributions from the account, regardless of how far away the beneficiary is from actually retiring, while an IRA owner can defer distributions at least until age 70 ½. This decision and analysis by the U.S. Supreme Court has sent shock waves through the estate planning and financial advisory worlds. The logic of the Court is easily extended to all inherited defined contribution retirement plan accounts, so inherited 401(k) and 403(b) accounts are also affected. Caution: Caution should be used in relying upon state law to protect a beneficiary’s inherited IRA. In general, people are more mobile than ever and your beneficiary may need to move from state to state to find work, pursue educational goals, or be closer to family members. In addition, federal bankruptcy laws now require a debtor to reside in a state for at least 730 days to use state bankruptcy exemptions. Therefore, long-term planning should not rely on a specific state law but instead should take a broad approach to asset protection planning strategies. If you have significant tax-deferred retirement plan accounts, please call The Levin Law Firm at (610) 977-2443 to arrange a complimentary consultation regarding your particular situation. We can show you how to protect your tax-deferred assets from your beneficiaries’ creditors, divorcing spouses, frivolous lawsuits, medical crises, and spendthrift tendencies. 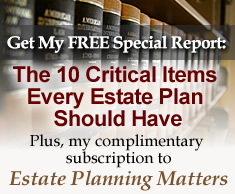 It is imperative that you take action now to learn about estate planning strategies to protect your IRA assets.